Two grasses have recently been discussed by PlantRight and other organizations with concerns about invasive ornamental grassses. 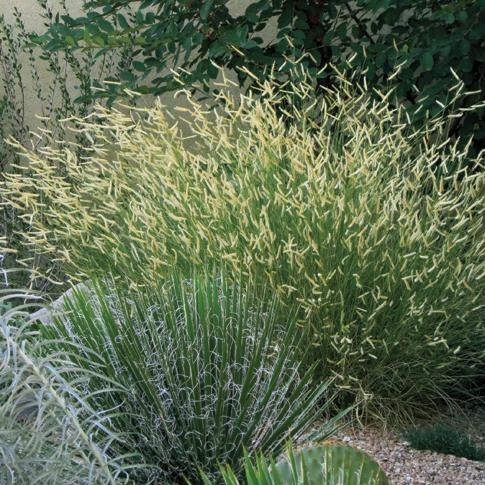 Mexican Feather Grass (Nassella tenuissima) and Chilean Needle grass (Nassella neesiana) are two grasses in particular that have invasive tendancies. Both are being phased our of production by the nursery industry and alternatives are suggested. A recent publication describes the potential extent of invasion of Chilean needle grass, Nassella neesiana (Cyperales: Poaceae), in the United States. Under current climate conditions, researchers predict that N. neesiana may become invasive on the west coast and in the coastal southeastern United States. The publication also describes the weed's potential distribution based on six future climate scenarios. Nassella neesiana is unpalatable to livestock and its awns penetrate the fibers, skin, and muscle of grazing animals, resulting in reduced market values for these products. Native to South America, N. neesiana is also known to occur in the United Kingdom, France, Italy, Spain, Australia, and New Zealand. In the United States, N. neesiana is known to occur in Alabama. 1. Bourdôt, G. W., S. L. Lamoureaux, M. S. Watt, L. K. Manning, and D. J. Kriticos. 2010. The potential global distribution of the invasive weed Nassella neesiana under current and future climates. Biological Invasions DOI: 10.1007/s10530-010-9905-6. Last accessed January 6, 2011, from http://www.springerlink.com/content/53hn2q843272qu06/fulltext.pdf.